*This Workshop is for students with a 200hours or 500hours YogaAlliance certificate only! Your 4 days are part of the Yogalives T300. Students may book their course without having to join the entire TT300, but they need to be certified to comply to YA standards. Please contact: Olive Ssembuze for registration and proof of diploma 200 hours. We will begin learning about the Pranic Life-Force in the body, for Tantrics believe the purpose of yoga is to cultivate and harness energy. You will learn how to identify energy, build it and use it wisely. You will gain an in-depth knowledge of the Five Pranas, use of the Nadis, Bandhas, and Swara Yoga, and learn sophisticated Pranayama practices. In Tantra we work closely with these inner layers and specific practices to access higher energies. We are more than the body that we have, and, we use this body to elevate our consciousness. 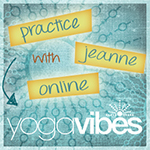 In this training Jeanne will introduce the layers of the Subtle Body and teach techniques to open these layers, leaving you with a more sophisticated approach to your yoga practice. Students will study the Chakras and learn how to use the variety of symbols and sounds connected to each. 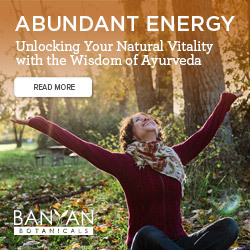 The Subtle Body, including Pranayama, Nadis, Pranavayus, the Chakras, and the aspects of the mind, are always affected by our practice – positively or negatively. Most yoga classes only address the physical in yoga, without articulating how the poses and our attention contribute to evolving our soul.